Global storage major Seagate is creating unique product led innovations, in the way high quality media rich content can be stored and quickly retrieved on mobile devices. 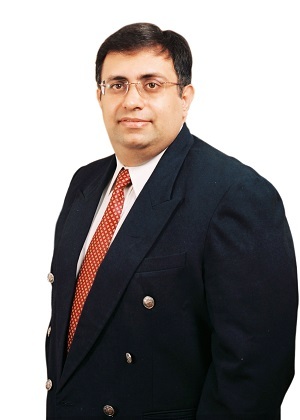 Rajesh Khurana, Country Manager for South Asia (India, SAARC& ASEAN), Seagate Technology speaks with Zia Askari from TelecomDrive.com on how the company is playing a vital role in the mobile segment. What are some of the innovations that Seagate is bringing for the mobile community? How important is the smartphone ecosystem for Seagate ? The mobile lifestyle has become pervasive in India. In today’s fast moving era, the need to access data from anywhere and at any time has made it essential for consumers to have smartphones. While developments in mobile technology have accelerated with each new model, storage capacities on devices have not grown in tandem. This is where Seagate has an opportunity to deliver storage solutions that complement mobile devices. Seagate’s data storage offerings create a secure environment where businesses and consumers can create and share digital content seamlessly across various communications devices. Our products like the Backup Plus family, Wireless Plus and Central, enable easy data storage and mobility, content backup, portable content streaming, easy data sharing on-the-go. Thanks to these devices, now people can stream more data without worrying about storage. What are some of the products and solutions that are available to quench the storage needs of smartphone users in India? Our Seagate Media App, which is accessible from a smartphone or a tablet, automatically organises all files in a smart device by type to improve how consumers search and find the content they want. Now watching a movie, listening to one’s favourite music, travelling with one’s photograph and documents, have never been easier. Seagate Wireless and Wireless Plus provide up to 2TB of wirelessly accessible capacity made to complement smartphone and tablet users who need more storage capacity. What kind of growth is the company looking at as far as its Indian operations are concerned and where is this growth likely to come from? India is witnessing an upsurge in the use of smartphones and broadband, resulting in the creation of a lot of data. Seagate continues to make strategic investments and deliver innovations in higher capacity storage, as well as expand capabilities in new cloud systems, flash technology to serve a broader storage customer base in the future. We have launched a plethora of products in to date, including Seagate Wireless Plus, Seagate Surveillance HDD (industry’s first dedicated surveillance HDD featuring Seagate Rescue services), Seagate Backup Plus Fast (world’s first portable 4TB storage device, providing twice the capacity and speed of existing external portable drives), and Seagate Backup Plus Slim (world’s thinnest 2TB external hard drive) in 2014. We also unveiled the world’s slimmest portable hard drive – Seagate Seven – at the 2015 CES. Seagate remains focused on understanding the needs of its Indian customers and delivering high-quality storage products and solutions. The government of India has committed to rolling out initiatives such as ‘digital enablement’ of the society. How does Seagate view and align itself with these initiatives? The Digital India initiative will help consumers and businesses benefit from the latest information and communication technologies, as the government looks at ways of increasing mobile and broadband connectivity to more locations. The introduction of e-government services and smart cities will mean that having always on access to data becomes critical. For consumers, increased connectivity coupled with improved mobile penetration allows them to capture, create and share content on the go, whether it’s video, photos or messages and files. Improved network infrastructures and access to technology also means businesses will now be able to better utilise technology to increase efficiencies, share data more seamlessly, as well as implement better data analytics. We expect India to play a key role in the digital era by supporting global businesses with a strong ecosystem of R&D centres, service providers, and other technology resources. Seagate is developing and offering innovative products and solutions that enable Indian businesses to manage their most critical business data. But storage today is no longer just about storing information; our solutions allow them to access and interpret information quickly and securely, to analyse data and understand patterns and behaviour, and harness stored information for growth and innovation. The more people and businesses embrace the digital age, the more they will need secure, robust and intelligent storage solutions. We are excited to be a part of the digital transformation in India and look forward to supporting this evolution in the future.